Go to the Collin County Animal Services page or read about cats or dogs. There are many Plano pest control companies for animals out there, but not all of them are licensed and insured professionals. 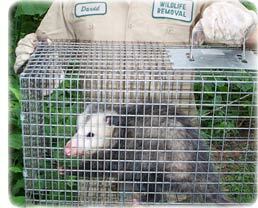 Make sure that you hire a competent expert for your Plano exterminator of wildlife. At Wildlife X Team, we will be courteous and friendly and take the time to answer your questions. Give our Plano trappers at Wildlife X Team a call, and we will listen to your problem, and make an appointment to perform an inspection. Texas is full of wildlife, including snakes, squirrels, raccoons, skunks, opossums, and more. Wildlife removal is a complex field. I recommend professional Plano wildlife control services if you want to solve a critter problem legally and correctly. For example, it is necessary to perform correct preventative repairs to keep pest animals a out of your house for good. We perform full building inspection, do the the repairs and we also offer attic decontamination if necessary. Rats and mice love to live in attics, and can chew wires or leave droppings. 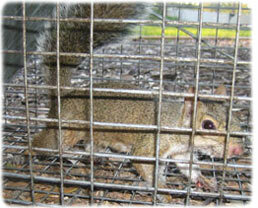 In fact Plano wildlife frequently enter homes, and correct removal is not a simple task. If you need assistance with a domestic animal, such as a dog or a cat, you need to call your local Collin County Animal Services for assistance. They can help you out with issues such as stray dogs, stray cats, vaccinations, licenses, pet adoption, lost pets, and more. No county in Texas will assist with wildlife control situations, and there is no free Plano animal control services for wildlife. Do I have to remove a skunk from a crawlspace if I rent - Renters always seem to be at war with their landlords, and when it comes to a skunk in the crawlspace, you might just want to take care of the situation on your own. In most areas, a skunk in the crawlspace means the home wasn't properly maintained-which is the responsibility of the landlord. That makes the skunk removal responsibility of the landlord, too. That being said, a skunk in your crawlspace is going to cause quite an offensive odor around your home. With how notoriously slow landlords are at taking care of things, this might be something you take on by yourself. Catching a skunk in the crawlspace doesn't have to be difficult or expensive. You can hire a professional, but you can also make the attempt on your own. If done correctly, trapping is fairly hands-free. All you need is a cage trap that can be purchased at most farm stores, a tarp or a blanket, and some cat food. If there are local cats, use marshmallows as your bait instead. To ensure quick capture, you can use temporary fencing to guide the skunk out of the crawlspace and into the trap you have set in the yard. Warmer weather meant fewer successful exterminators during the opening day of the Rock Cut State Park insect and rodent control for sportsmen with disabilities. Temperatures reached 70 degrees Thursday, which is far from optimum insect and rodent killing weather. "It's just too nice," said exterminator Jim The professional pest removal company man of Pecatonica. "The insect and rodent are all laying down." Plano pest control is mostly insect extermination, but only a few Texas companies deal with wild animals. The professional pest removal company man's killing partner, Mike Bagley of Machesney Park, killed one of three insect and rodent taken Thursday morning, a 120-pound rat. A total of three bucks and three does were killed Thursday. Thirteen insect and rodent were taken on opening day last year. The Department of Natural Resources conducts the special control annually to provide a killing opportunity for disabled sportsmen while also controlling the insect and rodent population in the 3,092-acre park. Forty disabled exterminators and their able-bodied partners are spread out through the park during the six-day event in straw-bale blinds. Most local owners of pest control companies in Plano, Texas weren't sure what to make of all this. Traditionally, the control has had two three-day sessions, one in mid-November and another in early December. However, the DNR has altered the schedule starting this year and moved it from December to early November. Part of the reason behind the change was that December weather often was brutally cold for the handicapped exterminators. The Collin County Pest Control board of Plano exterminators could not be reached for comment. We are Plano wildlife management experts, and are familiar with all the pest animals, including all species of Texas snakes and bats. We at Wildlife X Team are the best among Plano nuisance wildlife companies and can solve all animal damage issues. Our wildlife operators are skilled at bird control and bat removal, and would be happy to serve your Plano bat control or pigeon and bird control needs with a professional solution. Opossums, skunks, moles, and other animals that can damage your lawn - we are the exterminators who can capture and remove them. Our specialty is removal of animals in homes such as raccoons in the attic or squirrels in the attic. Our professional pest management of wildlife and animals can solve all of your Plano critter capture and control needs. Give us a call at 469-240-6627 for a price quote and more information. If you have any questions about a wildlife problem in Plano, please give Wildlife X Team a call at 469-240-6627, and we will listen to your problem, give you a price quote, and schedule an appointment, usually same day or next day, to solve the problem.